The best thing about Chrysler signs is that they are always changing their look. 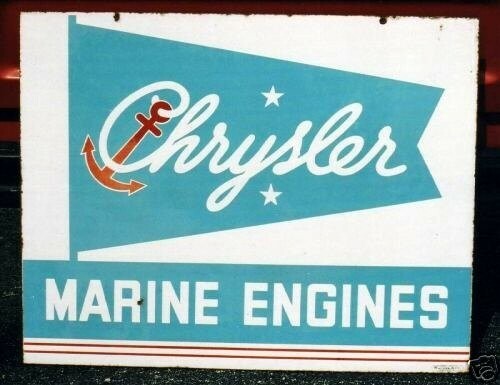 This Chrysler Marine Engines porcelain sign is light blue on a white background. Hanging from the “C” of Chrysler is a red anchor. This is a nice sign in fairly good condition.